Hi Renske, Holland has a wonderful reputation for being so supportive of homebirth. Holland also has really good maternal-fetal outcomes compared to other developed countries, including the United States. 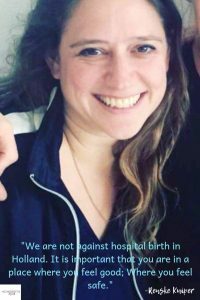 In many parts of the world, homebirth is viewed as dangerous and unsafe, so I wanted to get your perspective on why homebirth is so successful in Holland and how midwives are educated, and how the maternity system works. There are parts of the world where doctors don’t see birth as something normal, and that’s difficult for me to hear. We are not against hospital birth in Holland. It is important that you are in a place where you feel good; Where you feel safe. What are the requirements to becoming a midwife in order to practice in Holland? In Holland, in order to become a midwife, the education is 4 years. It is separate from medicine or any medical education, so it’s really a 4 year education that is directly to become a midwife which covers all the aspects of a normal pregnancy, including delivery and postpartum period, and an abnormal pregnancy. You’re trained to be the guard at the door, to say: ‘Ok this is normal, this is not normal’, and when to refer to the Obstetrician. We have a good system where you have to be registered under BIG in order to practice midwifery. So it’s not like anyone can call themselves a midwife. You can only practice if you are registered and fulfilled all the education requirements. Is it combined with a nursing degree? No. It is separate from nursing and separate from medical school. It’s quite an intense education, if you compare it with other 4 year educations. There are a lot of internships and a lot of studying during those four years. I started my schooling a little bit later, when I was 27, and it’s difficult to do it while working a side job. It’s quite a full time 4 year education. It’s hard to get into midwifery school. More want to get in than there are places for, and only about 1 in 4 get in. You have to pass difficult tests to get in, and during those 4 years some girls drop out. It’s an intense job so if you can do the education then you can probably also do the job, with all the irregular/night hours you work. There’s also some that really want to do it but don’t get into the school in Holland, and they go to midwifery school in Belgium. Is it also a 4 year program In Belgium? No, it’s different. It’s 3 years, but in Belgium you are educated to become a hospital midwife, so it’s really a different education. You have a lot of theory, so it’s quite good in knowledge. But it doesn’t really prepare you for the Dutch system. Often they do an internship of a year or 2 years in Holland if they can find a spot, but it’s not so easy. Is homebirth popular in Belgium? No, it’s a different system as well. In Holland, after you finish school, do you have to do an internship? During the 4 years of school you have a lot of internships. During your first year you start with internships, so when you finish school you are ready to start working on your own. How does the Dutch maternity system work? The system is you have primary care and secondary care. You have a GP (General Practitioner), which is your point of care for the healthcare system. A GP is a doctor who continues another 2-3 years after finishing medical school to become a GP. They direct you where to go for any healthcare matters and they give you a referral. You have to get a referral to see a specialist? Midwives are the GPs for pregnancy. We are the primary care, point of care, and we refer to higher levels of care in the system. Secondary care is medium-risk obstetrical care in the hospital, and Tertiary care is for high-risk pregnancies, preemies, for example 26 weekers-28 weekers. We have low-risk, medium-risk, and high-risk. 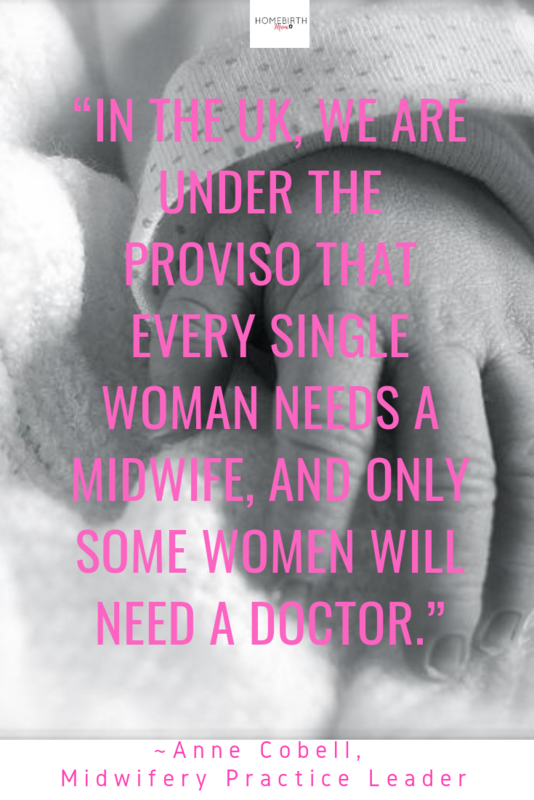 Most women, about 80% of women, will start with a midwife, and it’s only the women that already have, for example, high blood pressure, diabetes, or other pre-existing health conditions that will see an Obstetrician directly. For the 80% (maybe even more) who start with a midwife we get a full medical history, a full intake, exam and standard blood tests. The midwife provides all the care from the beginning of pregnancy until 6 weeks after birth. At any point during her care, a referral may be made to an obstetrician if a health concern arises. So anywhere in the process there can be a moment where you refer to an obstetrician. And if that happens, most of the time of course, it’s around birth. So if you talk about a low-risk birth, you can talk about what names you give it and the associations it carries. It’s a normal birth. Everything has a risk. During the pregnancy, you come visit the midwife about 10-12 times for checkups, and more if needed. If you deliver at home, or after a hospital birth when you return home, for the first 8 days after birth there’s somebody who, in Dutch we call it ‘Kraamverzorgster’ (maternity care), who is a woman specially trained to care for new mothers and babies after birth. They do postpartum checkups, assist the new mother with breastfeeding, help with childcare, and do some light housekeeping. We call them our eyes & ears. They come over for the first 8 days after birth for a few hours a day. Yes. The midwife comes by about 3 times that week to make sure everything is fine and to check up on them. It’s like in the hospital where the doctor rounds on their patients. We talk with the women about how the birth went, and address any psychological aspects as well. We give the information about the GP and the consultation bureau, which is where the baby is seen from 2-3 weeks after birth until they’re 4 years old. They don’t see their pediatrician right away. The consultation bureau is a doctor and a nurse who follow the general development of the baby and give vaccinations. And 6 weeks after birth we (midwife) end care for the mom. So in the last 5 weeks they call us if needed, and then 6 weeks after birth they will come to our practice for their final check up. In Holland we have a VIL. We call a midwife Verloskundige in Dutch, so VIL stands for midwifery Indication List. It is a system where an A, B, C, and D indication is assigned to a woman when she enters the maternity system. A is assigned for midwifery care/primary care. C is for Obstetrician/Gynecologists and secondary care (there are also midwives working in hospitals). B is indication where the woman is at lower risk than C indication and where the midwife collaborates with an Obstetrician. D is a place indication for hospital birth (but can be with your primary care midwife). 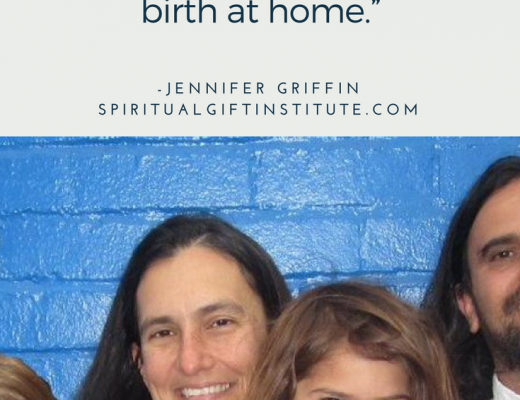 When a woman goes into labor they call us, and if the woman is low risk we go to their house to see if they are in labor and how they are doing. After we examine them, the woman can still decide where they want to deliver. We are able to deliver the baby at home or in the hospital. In both cases, whether it’s at home or in the hospital, if we think there might be a problem, we will refer to the Obstetrician. If they are at home they will be transported to the hospital if needed. 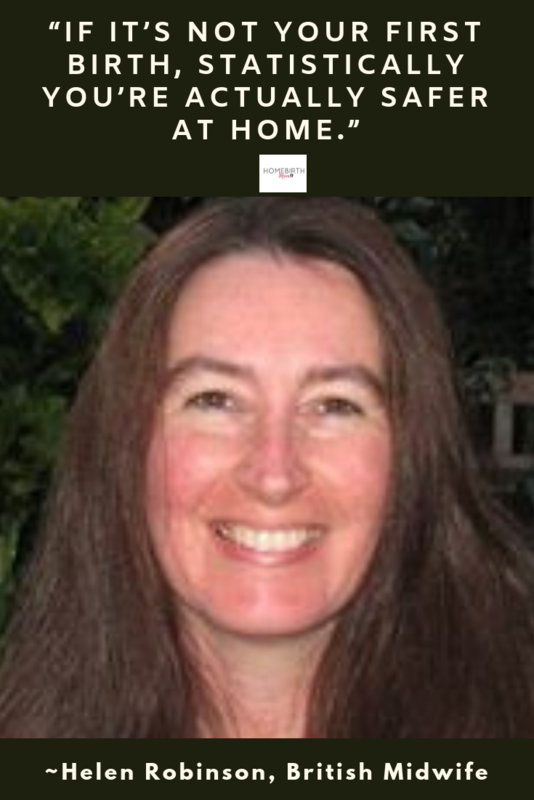 A midwife can deliver at any hospital in Holland? You don’t have to have special privileges? Yes we can deliver at all hospitals. 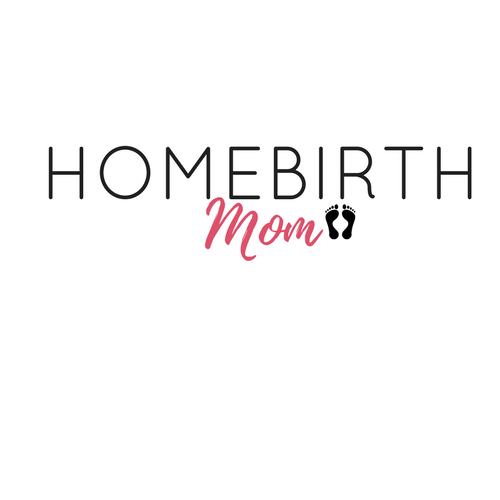 Do you have any homebirth stories you would like to share? In Holland we don’t do extra daily checkups after 41 weeks, which is a different approach, we do come by twice at home for a check and possibly sweep. If everything is normal you can deliver at home between 37 and 42 weeks, so that’s a five week period when we say it’s normal. She went into labor and I delivered her baby at a surprise homebirth. She wrote down the whole story and she put it on facebook to share with other women, to empower them. Her name is Carina Primavesi. How do you know English so well? It is how we are brought up. Years ago it was a bit different, but nowadays most people know English. Even in restaurants you can hear waiters speaking English and not Dutch. 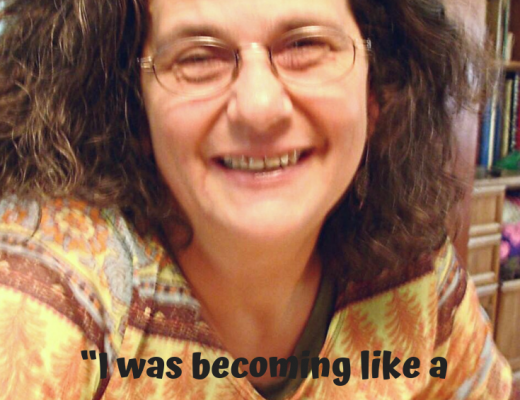 Anna Verwaal, a Dutch native, who now lives in the United States, teaches about birth imprints. A birth imprint is how birth imprints and shapes the baby’s psychological health. So it’s also about the imprint birth will have on the baby. Low risk births will very rarely have an acute indication or care needed. If it is needed, we have a good system where you can call an ambulance and they will get you to the hospital. What’s good to know about the system is we are trained really well to care for mom and for baby after the birth. We are trained to manage any problems, for example shoulder dystocia. We can give medication for blood loss. So there is rarely an acute situation or emergency where, for example, the placenta doesn’t come out or postpartum hemorrhage occurs after birth. With normal birth it is quite rare to have that. Then we have a system in Amsterdam where, if you want to deliver at home and you live on the third floor, or if you live in a small house without an elevator, our firemen are trained to transport women out of the window of their homes and into the ambulance, in case of emergency (only placenta/hemorrhage problems). For example, if the fetal heart rate is not stable and it might be a little while yet until baby is delivered, you want to have the woman transported to the hospital by ambulance. Luckily, we don’t need to use them often, but it’s a possibility if needed. So the system is set up that you are not unsafe if you are at home. I am not against a hospital birth, because some women will feel more comfortable there, and some should be there for medical reasons, and I’m not against epidurals, but it needs to be your choice, and women should be supported in their own choice. I compare it to a marathon. Not everybody wants to run a marathon, and that’s ok; But if you run a marathon and all along the way people are asking, “You sure you don’t want to stop? You don’t want to have a drink? You’re sure you want to go on?” That’s not supportive. You want to have people on the road saying, “You’re doing good. Go for it!” and then, if you really want to stop, I’ll be there to give you a drink, give you a hug, and say it’s ok.
Can’t wait until this is the norm in this country. I was very lucky to have care of a similar nature with my midwives in California. The main difference was the extensive fear of those around me. Really informative article and shows a model of care that all other countries could aspire to. We have a friend who lives in Holland and she had told us about the excellent care she received from the midwives and the amazing postpartum care.